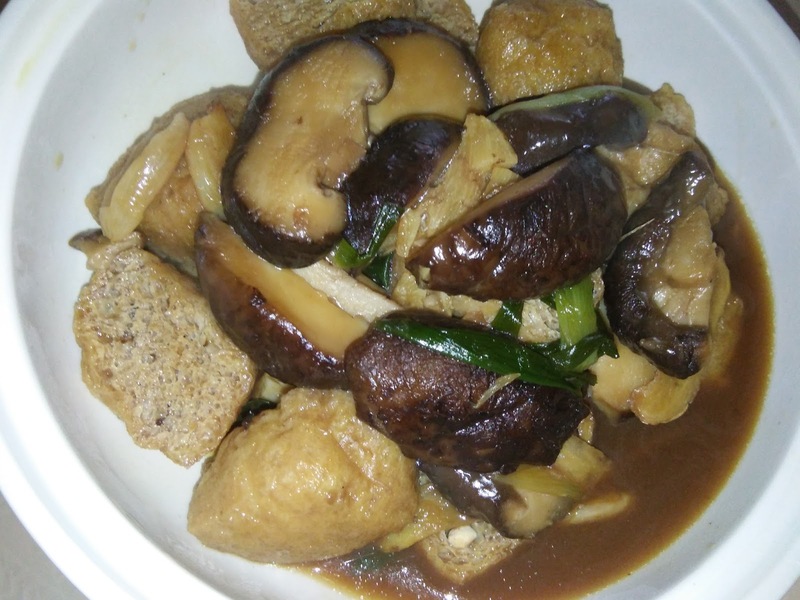 The 2 main ingredients [fresh mushrooms and taufu puffs] for this dish were from Tesco Store. 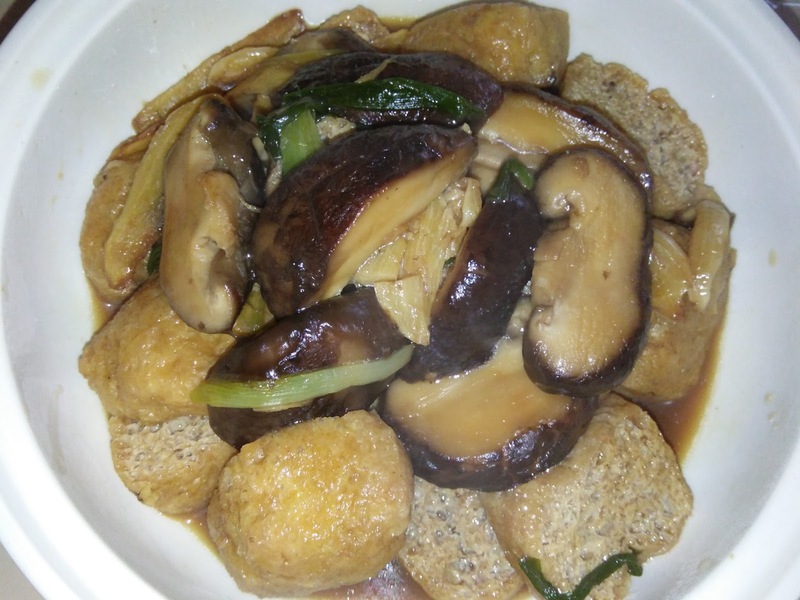 I like the sweet taste of the fresh mushrooms and the compact but soft taufu puffs. These ingredients soak up the flavours and are tasty when braised. 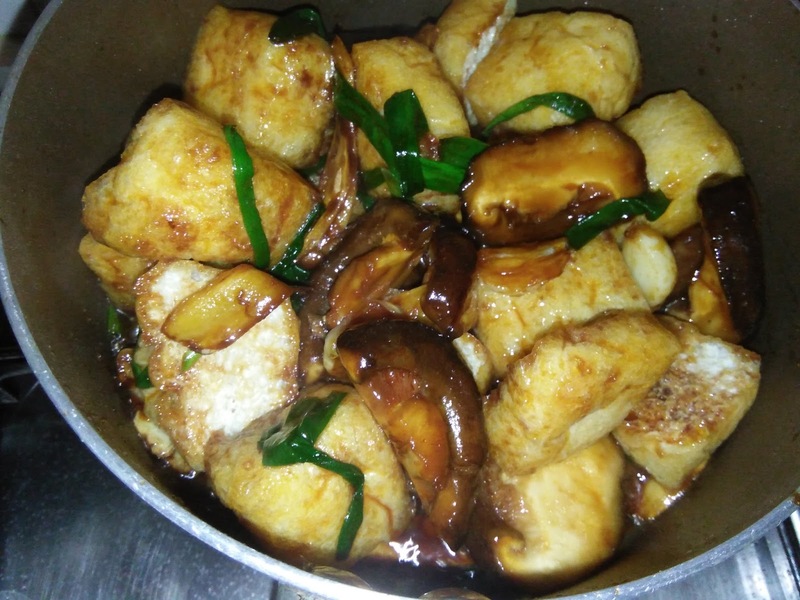 For better flavour, add the cooking wine last before dishing up. 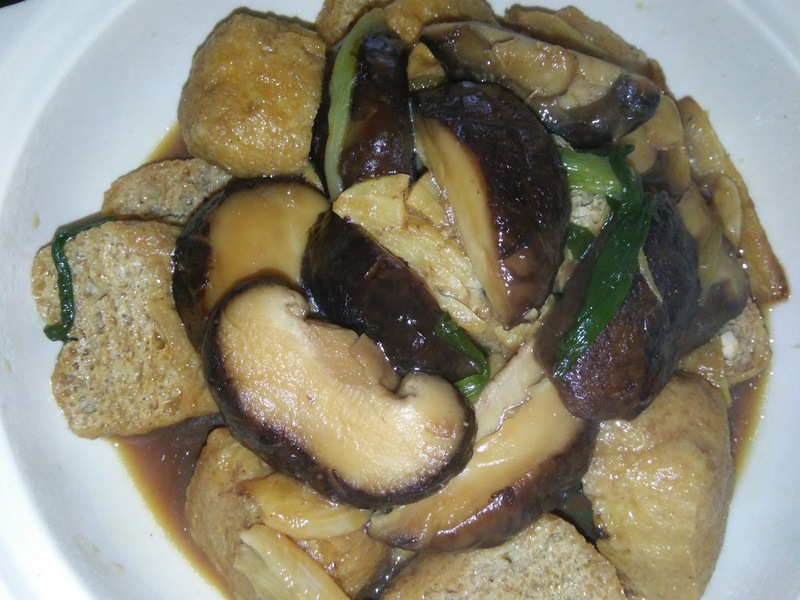 This meatless dish can be a delicious vegetarian food that goes well with rice. 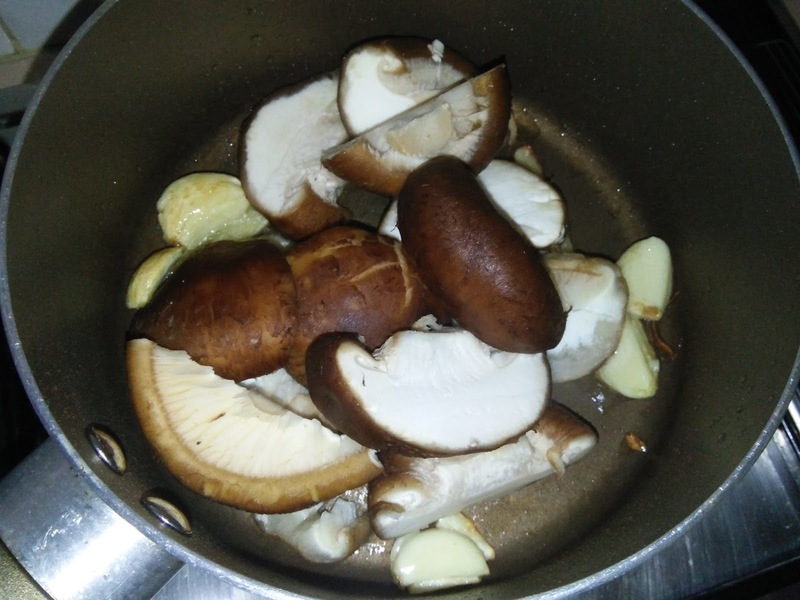 Lightly rinse fresh mushrooms, remove the head and slice slantwise, set aside. 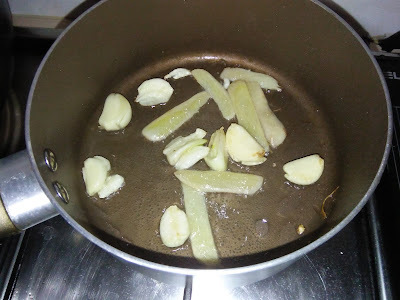 Heat a non stick wok with oil, saute garlic and ginger until aromatic. Add in the spring onions, continue to stir until fragrant. Add in the fresh mushrooms. Stir for a minute or so, then the seasoning. 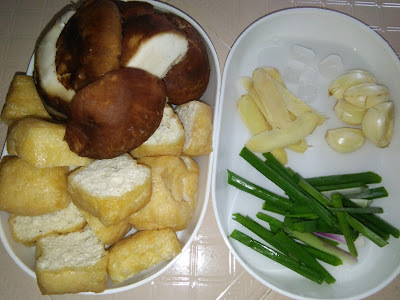 Add seasoning, bring to boil before adding the taufu puffs, stir well to combine. 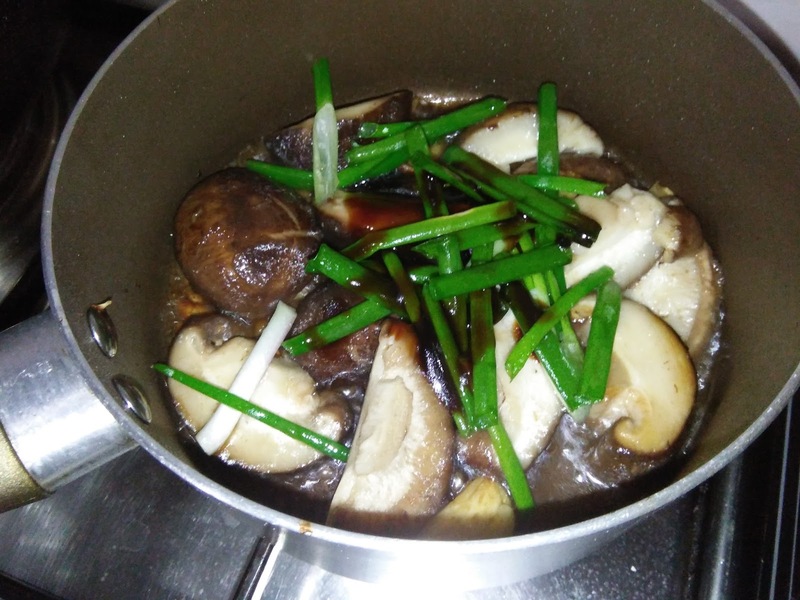 Add enough water to cover ingredients, bring to boil. cover with lid, simmer over low heat. Braise ingredients until soft and sauce has thickened before dishing up to serve.